Hello. I was wondering when working with a new student on Bookshare-how much time is spent teaching parents and other educators how to use the site. I know every situation is probably different. Do you generally start with educating staff/parents on the mode of Bookshare the student is using and then give them resources such as the Getting Started and Help Center. 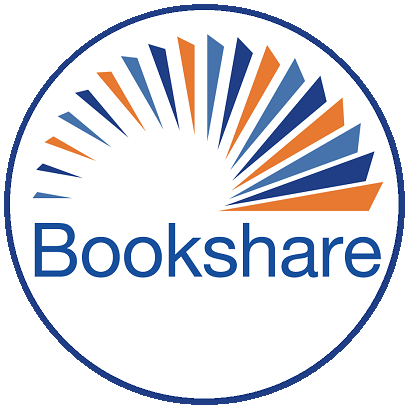 I know when I first started learning about Bookshare, I was a bit overwhelmed. What I have been doing recently is emailing families specific links that they might find helpful, and sometimes sending them step by step instructions. I have also been offering to set up meeting times. We also have a few SPED teachers in the district who are very familiar with Bookshare. I am wondering if people tap into this resource to help educate staff. Thank you. Great question Lisa! I will be staying tuned to hear the answer to this one as well! We have struggled with the same thing in our district. Nothing has seemed to work. We are going to try something different this year. Each member of our team has been assigned a specific number of students with specific needs in mind...and according to our strengths and personal knowledge of the student. We will be offering a crash course before school begins where all qualified students and parents will be invited, but we will personally invite those specific focus students. We hope that this will get some training and excitement. Of course, we will also offer refreshments and have a prize drawing. In addition, we know that teachers have a great deal of pressure on them and not all of them will be interested in spending time learning new technology. So, we will have a teacher training before contract time starts where we will be doing a short training. We are in a state that allows opportunities to get paid for working on IEP related things for 4 days before contract starts. We are trying to get this training approved to count for a small part of this time. Of course, we will be providing refreshments...and perhaps a drawing (hasn't been determined yet.). We know that we will not catch everybody and that everything takes time, but we are hoping to get a fire started that will spread. In addition, our district staff is aware of who is on our AT district team and, while we would like them to do what they can, we also realize that some teachers would do nothing if help wasn't available; so we ask them to contact us with questions. I don't know if this helps. I, too, will be watching this post to hear others answers. I have been very impressed at what I have learned in this online class so far. I am disappointed that some of the current technology is not being replaced or updated. It is important that we as teachers and creators of new and creative software make sure there is room for growth as technology becomes more advanced.